Over the past few months, we have been growing tremendously. Yes, it’s been busy, but we love every second of it. We interact with each and every team and individual on our platform. We care. That’s why almost every other week there is something new that we implement. Our roadmap is alive and breathing. Typical Kloser on our platform is business-smart, versatile and has one goal in her mind: thriving and expanding their business. If you’re running a thriving and expanding business, your list grows as well as the number of your tasks that aren’t directly connected with selling. These repetitive tasks take up too much of your or yours’ sales reps’ time. The end result? Little or no time to actually talk to your prospects and close sales. Autoklose solves this particular problem by automating a great number of boring, repetitive tasks and streamlining various processes. For example, following up has never been easier and more effective, especially since it’s powered by pre-made sequence templates that you can select and personalize. This means that your outreach, although automated, won’t come off as too bland and impersonal. Among many other useful features, there’s also access to a pool of millions of relevant B2B leads from various industries. Detailed, easily accessible in real-time analytics, allows you to see how your campaigns are performing, and fine-tune them while they’re still active. We have saved the best NEWS for last! There is a new partnership and integration that we are super pumped to share with you. The one that will let you connect Autoklose with 1,000+ other web tools! Can you stop for a second and think about it? 1,000+ other web tools! Wow! This is going to save you 4 hours a day if not more per sales rep.
We are happy to announce that we just partnered with Zapier, a software that enables you to connect the apps you use every day to automate your work and be more productive. Get started in minutes. This is great news since now you can easily link your web apps and exchange data between them. Your business workload will be smooth and automated with the help of Zaps, workflows which connect your apps. 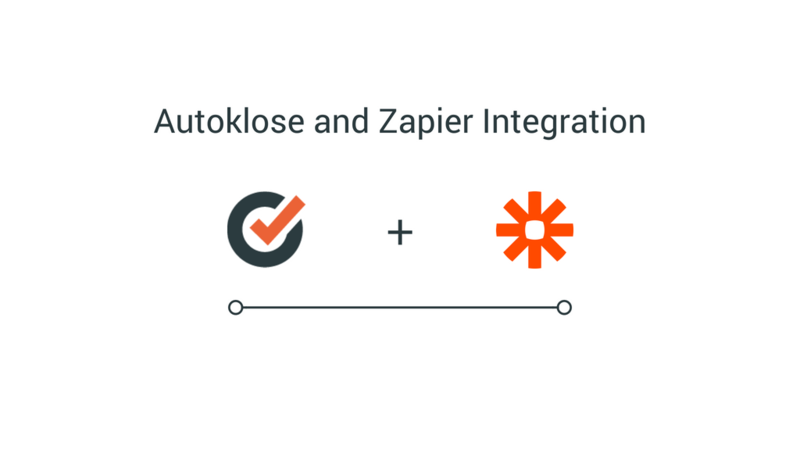 Or log in and build a custom workflow with Autoklose and Zapier. Check it out and discover multiple opportunities to automate and grow your business. Are you happy as much as we are? Share below in comments! P.S. We klose with the K.